Kyra Dixon, a blue-collar girl from the boondocks, is dedicated to her job at a community center that matches underprivileged kids with rescue dogs. When she runs into Will Chase—Connecticut blue blood, billionaire CEO, and her old college crush—she’s surprised that he asks a favor from her: to be his date for his uptight family’s dreaded annual garden party. If his parents don’t approve, all the better. Kyra’s not about to say no. It’ll give her a chance to be oh-so-close to her unrequited love. What begins as a little fling turns so mad hot, so fast, that Kyra finds herself falling all over again for a fantasy that won’t come true. How can it? She doesn’t belong in Will’s world. She doesn’t want to. But Will does want to belong in hers. All he has to do now is prove it. Will is prepared to give up whatever is necessary to get what his heart most desires. Today it is a pleasure to introduce Will Chase and Kyra Dixon to readers! 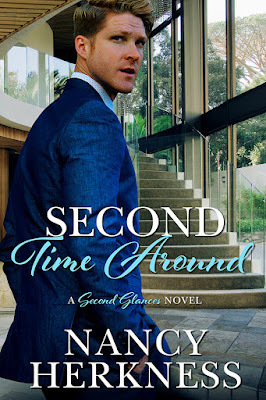 The hero and heroine are from Nancy Herkness’ newest release Second Time Around and the title of the story certainly is inspired by the characters’ story. The ‘first time around’ for this couple was in college when Will was dating Kyra’s roommate. This evil ex cheated on Will and while Kyra longed to comfort her secret crush, but she was firmly friendzoned. Years later in an accidental meeting in NYC, Kyra and Will are reunited--only this time sparks fly with nothing to get in the way of igniting….except the fact that Will is a little (okay, a lot) out of Kyra’s social circle. This makes interacting with his family and friends a teeny bit awkward. But while Will may have money, he is also kind, funny, hardworking, and stubborn. Too stubborn in fact to let a little bit of status stand in the way of him and the woman he wants. However, we have to ask: Just how different are these two characters really? Read on for a questionnaire where we find out if Will and Kyra are true opposites or if they are more alike than they realize. Question #1: What can you tell us about your favorite childhood memory? Kyra: My father worked at the Mack Truck factory so he was very wiry and muscular, even though he was short in stature. When I was a child, he would toss me up in the air and catch me. I’ll never forget feeling the strength of his hands wrapped around my waist as he boosted me up, the sense of exhilaration as I flew through the air, and the security of knowing with absolute certainty that his steely, powerful arms would be waiting for me when I came down. Will: My parents’ house had a two story library with floor-to-ceiling bookshelves and ladders on rails to reach them. It seemed like a magic cave filled with treasure to me. Once I convinced them that I would treat the books and the room with respect, they allowed me free run of it. I spent many a happy hour deciding which book to read and then stretching out on the Oriental rug to read it. Sometimes I even walked in merely to smell the scent of books waiting to be read. Question #2: When you were growing up what types of activities did you enjoy? Kyra: I was a voracious reader, and loved going to the public library where the librarians would set aside books they thought I would like. However, my favorite time spent there was wandering among the shelves until a book called out to me. Ice skating and riding my bike got me outdoors when Mom decided I’d spent too much time inside reading. Mom liked to shop, so we went “malling”, as she called it. I enjoyed that because I always got a treat. Will: Reading was my activity of choice. However, my sister would sometimes bother me until I came to help her with her beloved horses at the stables, and I got to like that, especially because it was away from our parents. Tennis wasn’t bad. I hated sailing, which my mother forced me into. Couldn’t wait to give that up. I did the usual sports in school: soccer, lacrosse, basketball, etc. Working up a good sweat was satisfying. Question #3: When it was time for college, how did you decide to attend Brunell college? Kyra: I couldn’t afford to go far from home, so I stuck to schools in Pennsylvania. Brunell was the best school that offered me a good financial aid package. It also had a terrific English lit department, which was my passion. I only wish I had been able to finish my degree there. Will: Brunell was my first flash of rebellion. Pops went to Harvard; Mum went to Princeton. I refused to apply to either of those. I wanted to study the classics and a noted authority on Homer taught at Brunell. Question #4: What was your favorite part about college? Kyra: Playing quote wars with Will Chase! Well, pretty much anything that had to do with Will. This smart, rich, golden boy from Connecticut was so alien that he fascinated me. Okay, so I loved the classes, too. I was pretty drunk on the whole “learning for the sake of learning” concept. The campus is gorgeous as well. All those brick buildings with white trim and vast, rolling, green lawns. Will: The classics professor who made me choose Brunell, Dr. Weiss, was a spectacular teacher and mentor. His classes made me think and stretch and grow. Sometimes he’d hold class in his home where he always served the most delicious, sugary doughnuts from the local convenience mart. Every now and then, I still buy a box of those for nostalgia’s sake. Question #5: What’s your career? How did you choose it? Kyra: I didn’t exactly choose my career, if you could call it that. I needed to pay off the debt from college and my parents’ health issues and heard that bartenders at high end clubs in New York City could make a lot of money. I knew a little bit about bartending—and cooking— from working at a local restaurant in my hometown, so I packed up and moved. I also cook for the kids at the Carver After-School Care Center, which I love. But I started there only because the job offered a free apartment. Will: I’m the CEO of Ceres, a multinational chain of cafés that I founded. I started the company because I didn’t want to join my father’s law firm, as he expected me to. Do you see a theme here? It was satisfying to battle the challenges of building a company, never knowing from day to day if it would survive or fail. Now that it’s grown so huge, I find myself restless. Question #6: Do you have an active social life? 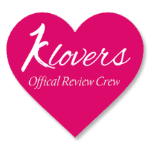 What is a favorite date you have been on recently? Kyra: Social life? I tend bar at night and cook for kids during the day. Who has time for a social life? I can’t remember the last time I went on a date. Will: I’m the face of Ceres so I attend quite a few charity events, if you consider that a social life. I’m not sure I do. Between that and the hours I work, dating isn’t a priority. Not to mention, a broken engagement left a sour taste in my mouth when it comes to romance. My favorite recent charity event was held in the Metropolitan Museum of Art, where I could wander through the classic Greek and Roman art exhibits without a crowd. That was an unexpected pleasure. Question #7: What are your goals for the future? Where do you see yourself in a few years? Kyra: My most urgent and immediate goal is to pay off my debt. Sometimes it feels like a boulder crushing me into the sidewalk. If I ever manage to do that, my aspiration is to finish my college degree in English lit and get a job as an editor at a publishing house. Hey, a girl has a right to her pipe dreams, doesn’t she? Will: My goal is to figure out where the hell I see myself in a few years. Right now, my future looks like more of the same: long hours at work, too much business travel, attending events for PR purposes, and resisting my mother’s efforts to marry me off to one of her friends’ daughters. Not an exciting prospect. “Oh?” What on earth could Will want from her? His gaze didn’t waver from her face, which made it hard to respond, since she had to concentrate on not letting her mouth fall open in astonishment. “I, um, well, that sounds like fun.” Total lie. It sounded terrifying. But she had Sunday off from work, so she had no commitments to stop her. The expression that crossed his face was hard to read, except for relief. “That’s the best news I’ve had all day,” he said. “What are you wearing?” That might help. She got the picture, and she had nothing appropriate to wear. She sighed inwardly. This was going to cost her more money than she could afford. However, she couldn’t resist the opportunity to journey into the exotic country of upper-crust Connecticut. Not to mention, spending time with her college crush, who was even more crushworthy now. “Okay, a rolled-up shirtsleeves kind of dress.” She took a gulp of her club soda as she debated where to find a dress that looked expensive but was bargain priced. “I hear you.” But at least he still had his mother and father. As complicated as her parents had made her life, she sometimes felt terribly alone without them. “You don’t have to flatter me. I’ve agreed to go.” But she couldn’t stop a smile of gratification from curling the corners of her mouth. He tapped at the phone’s screen as she rattled off her phone number. “Do you still have my cell number or did you chuck my card?” he asked with that self-deprecating smile that always charmed her. The disappointment in his tone surprised her. His fingers flew over the keys of his phone. A ping sounded from her back pocket, indicating she’d gotten his text, and she started to reach for her phone. 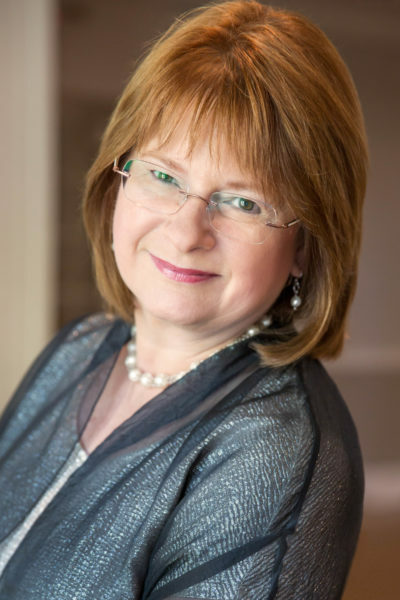 Nancy Herkness is the award-winning author of the Wager of Hearts, Whisper Horse, and Second Glances series, as well as several other contemporary romance novels. With degrees in English literature and creative writing from Princeton University, she has earned the New England Readers’ Choice award, the Book Buyers Best Top Pick honor, and the National Excellence in Romance Fiction Award, and she is a two-time nominee for the Romance Writers of America’s RITA Award. Nancy is a native of West Virginia but now lives in suburban New Jersey with a goofy golden retriever.